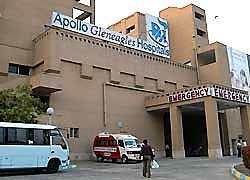 Kolkata: Apollo Gleneagles Hospital, jointly with an NGO organized a free health check-up camp for prostitutes and their children at Sonagachhi, a red light area in the city. Over 100 women and their children participated in the camp which had special arrangements for the health examination. The camp was conducted by Apollo team comprising of three doctors specializing in Gynaecology and Paediatrics, nurses and other support staff including NGO Hamari Muskan volunteers.